Cannabis use at festivals is an entirely normal occurrence. But there are some unspoken rules that every smoker needs to keep in mind in this environment. Music festivals are always a life changing experience. 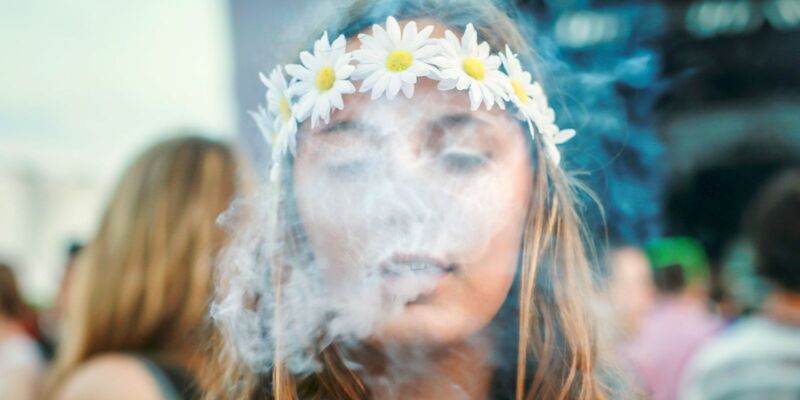 Cannabis use at a festival is an entirely normal occurrence. It would be more strange if you didn’t catch a whiff of smoke for a few minutes. But there are some unspoken rules that every smoker needs to keep in mind when smoking in this environment. Unlike smoking in public spaces, this is a safe space! Cannabis frees the mind, making the user able to appreciate the music and vibe of the festival much more. There is no need to feel anxious because everyone is loving and accepting of all types of lifestyles at festivals. If you should feel unsafe, take a deep breath and look at your surroundings. No doubt, you will see people dancing without a care in the world, running around with child-like wonder and the music will envelop you with its enchanting beat. There is nothing to fear. Switch your cell phone off, remember your responsibilities are at home, and just enjoy the ride. Festival culture is extremely kindness-orientated and sharing is expected from everybody. Whether you have ample cannabis or are running very low, you have a place in the unity of the festival. Whenever you roll a joint or stack a bowl, remember your neighbor. Who knows, you might make a friend who will share his cannabis with you later. Ask people if they would like to join your session. Very rarely will a fellow camper say no to the offer. This is particularly useful when you have lost your friends (which happens all too often!) and want some company. It is almost mandatory to share with the people in the tents closest to yours. This is how you make friends and also the best way to participate in the PLUR (Peace Love Unity Respect) lifestyle. Although it is so widely used among festival-goers, cannabis isn’t for everyone. When somebody asks you to smoke elsewhere or further away from them, do it. Respect your fellow human; don’t make anybody uncomfortable because you’re in the mood to get high. You don’t know everyone’s experiences with substances, and it is possible that they don’t want any weed around them. Never pressure anyone into smoking. Just because you are at a festival, does not mean that everyone around you has to do things the way you do. Be a good person, offer, and if somebody says no, accept it. Leave the option open should they feel like taking you up on the offer later on. Guide first-timers through the experience in a way you would want to be guided if it were you. During the festival, it is entirely acceptable to be baked the entire time! Don’t worry about what others might think – because it doesn’t matter. If they’re not cool, you can just walk away and join one of the hundreds of other amazing people around you. If you want to be alone, light up a joint and go to the dance floor. This is your time to be free and let your soul soar as high as you would like it, too.